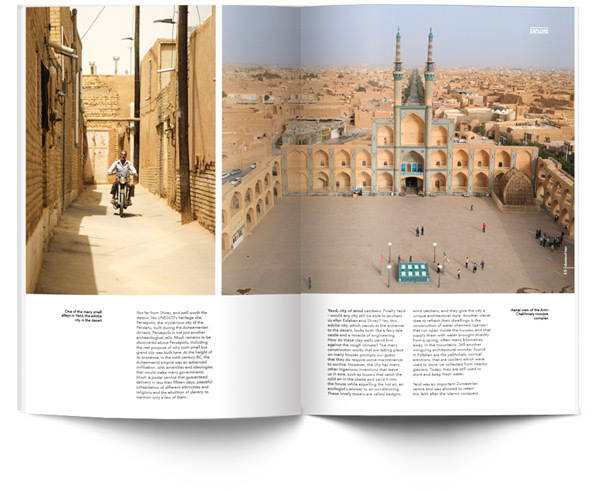 In this issue, we have put together some of the best experiences we had in Iran. You will find articles about the intriguing life in the desert, and how caravanserais were built along the silk road, to receive merchants that came from afar. We invite you to wander in the exotic ambiance of old bazaars, tea-houses and hammams in the fascinating cities that form the Golden Triangle of the Middle East. Hospitality is an attribute of Iranian people, be prepared to be treated as a gift from God. This magazine is a celebration for all the senses. Enjoy it! Quench your thirst for adventurous roads, immense deserts and unique salt lakes by following the 8,500 kilometres motorbike ride through this vast country. 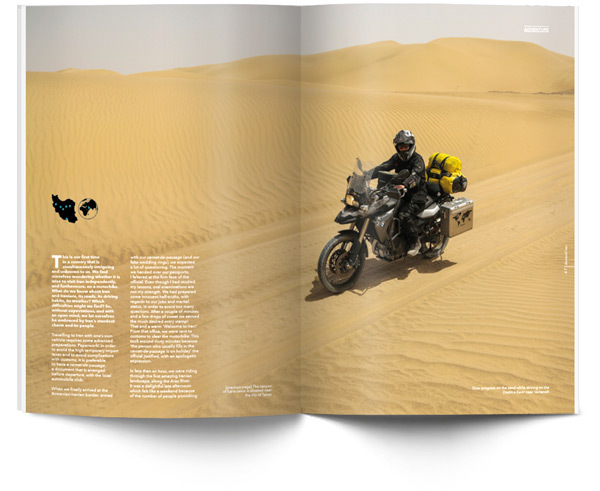 We will tell you about the journey, the joys and the challenges that you will face when riding your own motorcycle through Iran. Persian hospitality is famous all over the world, therefore expect to have beautiful encounters and intense chats wherever you are, be it at the corner of a street, in a relaxed tea-house or simply in the Bazaar. We will tell you about interesting and inspiring Iranians, such as Mohammad, a young talented composer who dedicates his life to his art. 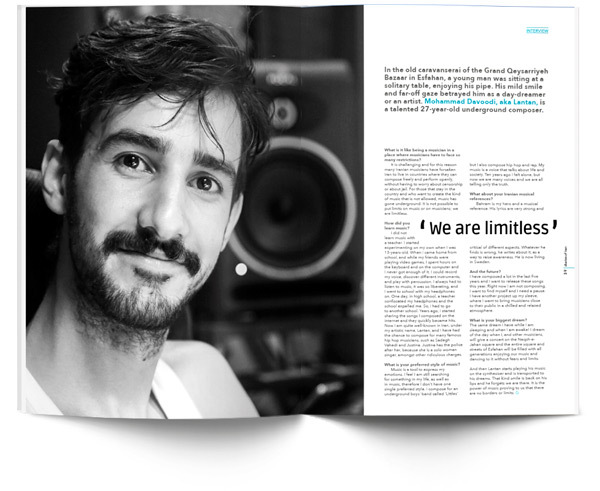 More inspiring interviews in the magazine. The truly tasty Iranian food is that cooked in Iranian homes, and luckily for travellers, Iranians are keen on having foreigners at their table. Persian cuisine focuses on a variety of fragrances, such as the exquisite flavours of saffron, rosewater and the tart taste of pomegranates. 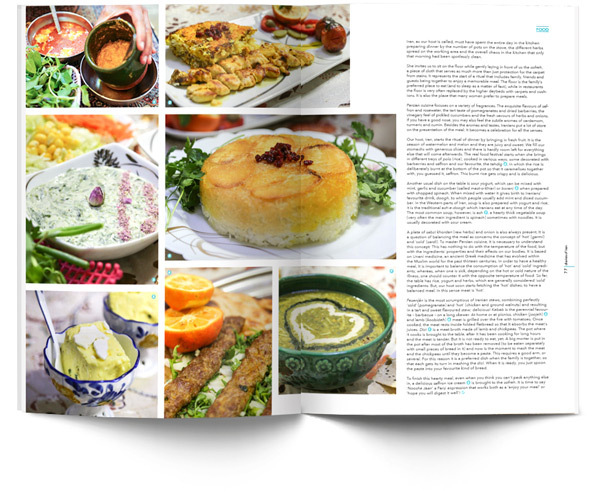 You will learn more about the Persian food in this diariesof issue. After almost two months of travelling in Iran, the collection of memorable experiences just got bigger and bigger! Watch behind the scenes to find out which unforgettable moments a journey through Iran can offer. Let yourself be charmed by the thousand and one nights, the Persian culture and the world-famous Persian hospitality. 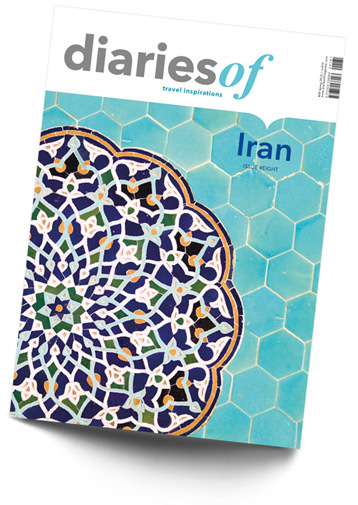 Read this experiential diariesof issue about Iran and be inspired to venture out on your own journey through Iran. Get your copy now!